Business templates for bi fold brochure, flyer, booklet. 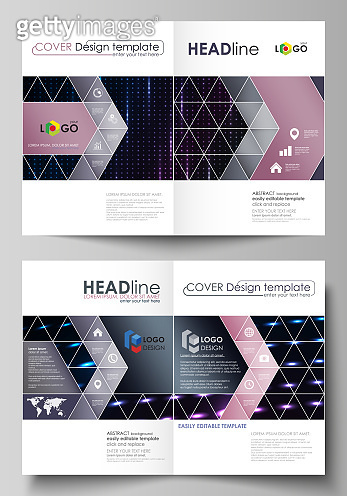 Cover template, layout in A4 size. Abstract colorful neon dots, dotted technology background. Futuristic texture, digital vector design.